Indie Retro News: Panic! Dizzy - A new Kickstarter for a 'new' old Dizzy NES game is coming! Panic! Dizzy - A new Kickstarter for a 'new' old Dizzy NES game is coming! I've always had a soft spot for that lovable character Dizzy; A character by the Oliver Twins that takes us back to the golden years of the Amstrad, C64 and even the ZX Spectrum. To be honest it's why everytime there's a new Dizzy fan game being developed or a lost Dizzy game found, I've always got to give it the mention. So why am I talking about another Dizzy game you might ask? Well if you can wait till Friday, Chris Wilkins will be launching the Panic! 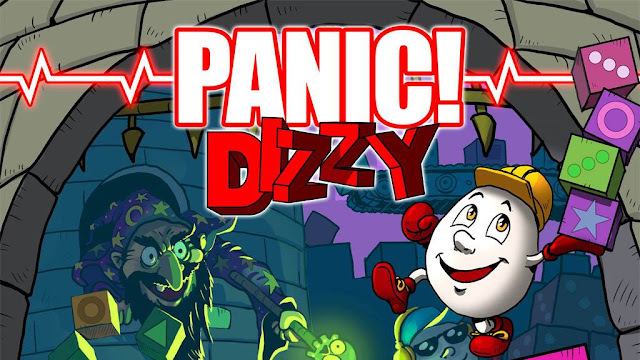 Dizzy Kickstarter ; another original Dizzy game that has been lost and found in the The Oliver Twins attic!